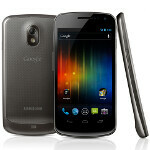 Now that the Samsung GALAXY Nexus has been introduced, where will you be able to buy it? No one knows for sure and a battle has been brewing on Samsung's Facebook page where the manufacturer first said that the device was coming first to Verizon and then other carriers might support it in the near future. Then, Samsung did a 180 degree reversal and said that no U.S. carrier has been determined So when you head over to the Samsung GALAXY Nexus web site and register to receive more information on the phone when it becomes available, it is no surprise that when you are asked for your carrier preference, you see Verizon, T-Mobile, AT&T and Sprint. The surprise is that the list also includes Cellular South, MetroPCS and US Cellular. Verizon was expected to get its mitts on this phone almost from the day rumors about the model started making the rounds and when we go back to that "insider" who leaked a November 3rd launch date for the phone on 4Chan, he said that this is the phone that made the carrier pass up on the Samsung Galaxy S II. Did Verizon make the right choice? Will it even offer the phone? Most likely the answer to the latter will be "Yes" but we won't know the answer to the the other question until the phone has actually been launched. How well did that 4Chan source do? After all, the specs he passed along for the Samsung Galaxy S III were amazing and if he was right on the money with the Samsung GALAXY Nexus, perhaps the information he leaked about the other phone will prove to be true. On the display, the source was 100% correct. He called for a 4.65 inch screen with 720p resolution. The information on the processor was a bust as he posted that the phone would have a 1.5GHz Exynos processor which turned out to be a 1.2GHz TI OMAP 4460 processor under the hood. He correctly called the 1GB of RAM on the device and was right on with the updates to the calendar and the browser. Lastly, his statement that the GALAXY Nexus would have a 2000mAh battery was off as the unit will have a 1750mAh power cell. Still, it is close enough that we should probably give some weight to his insight on the Samsung Galaxy S III. Any GSM is fine with me. now, just make sure its being sold IN store, and im going to be ecstatic. Apple is probably pissed. Most stores will cozy the prime right up beside the i4s so people can make a comparison. Other than apple crazed customers, who would choose the i4s at presumably the same price?? did you guys read the article? it sounds like very little has been determined. and remix, dont be so dramatic. the 4s offers plenty in comparison. like? put a 4s beside a nexus prime, and pretend you are talking to a person who has little idea of the difference. how would u convince them that apple is the better buy without hiding facts, using half truths, or lying? Siri? Explain to them how its different than google voice commands. It has sarchastic answers? most people wont care. I sell these things for a living and even if i wasnt a fan of android i would have a hard time coming up with selling points against the nexus other than "its an iphone". lag? the nexus that was shown at the conference was running PRE RELEASE software and was LAG FREE. it only gets better from there Speed? yea, your 800mhz processor is faster than the omap 1200mhz.. oh wait.. its not.. lol battery life? The i4s as worse battery life than the SGS2, Razr and presumably the Nexus since it will be the first that is dual core enhanced. stability? yea, i havent seen a force close since android 2.1.. eons ago. ICS only increases stability by being the same OS on phones and tablets like iOS, setting minimum standards, and reducing a manufacturers ability to customize the phone. apps offered? like what? a better game from Epic that has an average play life of a week to a month?? I'll take those upgraded google apps that I use every day, like 3D turn by turn google maps. 90% of apps that are on one OS is on the other. me thinks you need to update your "facts". as a sales rep, i can tell you for a fact that people care more about the advanced navigation, integration, and larger screens on Android than they do about the latest game from Epic. I dont even remember the last time someone asked me about what kind of high end games came on the phone. the one on screen didnt have that issue, and thats what im going by.. what I saw.. and again it was prerelease. unlike iOS which was out in the wild for testing for a month before its "official" release.. which blew any steam it might have had.. noone has had access to ICS until after the event. stability - you bought a droidX, mistake #1. You didnt buy a high end samsung or HTC. My 1.3 year old Vibrant runs flawlessly, underclocked, smooth, and without force closing a thing. I also get between a day and 1.5 days with normal (decently heavy) usage. According to PA when they did the SGS2 review it lasted even longer than the posted time. THEY said it was the longest lasting phone they have ever had. Concidering the i4s has a smaller posted time than the i4, that doesnt bode well. FYI the only thing that was wrong with the Droid X was software. it was still one of the most powerful handsets out there. it just needed it's final build of Gingerbread to become as smooth as butter. again it was pre release??? STOP TALKING OUT OF THE SIDE OF YOUR MOUTH!!! it was pre release and running lag free one second, the next second its running with lag because it was pre release. i got a droid X used. got a good deal on it and picked it due to the bench mark scores. i have seen HTCs and samsungs crash just as easily. i do think they are making improvements, but iphones still crash much less than androids. fine, i'll concede sgsii's battery life. 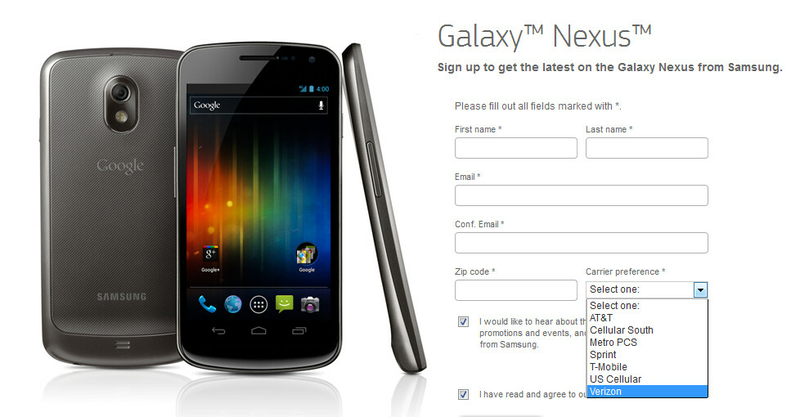 again, arent we comparing the galaxy nexus and the 4s? ignorance. all of that has been resolved with current handsets even more so with an Android 4.0 device. way to respond to post 15 without scrolling down to post 22. take your Ritalin and read whats already been posted. does it really matter? i don't have the patience to read everything then go back through and respond to things i wanted to respond to. if i see something i want to respond to i'm going to respond to it. I'm sorry I think I'm missing something.. but from what I'm reading the galaxy s 2 is a better phone then the galaxy nexus.. the thing the nexus has is ICS other than that the specs are the same as the galaxy s 2 but a far worse cam. they both have their ups and downs SGS2 has better processor, touchwiz4 (i think thats a +), and proven performance/reliability/battery life, and depending on which sgs2, a slightly bigger "usable" screen. Nexus has ICS, instant direct from google updates, 720p screen, and all the new things that ICS can do. The camera on the nexus isnt worse.. megapixel means nothing.. nothing what so ever.. its a number. the prime has a better camera set up, more features, and presumably a bigger aperature. It may actually be the better camera. We wont know until we get some real reviews on it though. samsung has a reputation for.. extended.. updates, so the sgs2 may or may not see ICS sometime soon. both phones are made from samsung, so the build is probably going to be the same.. which is excellent. For me at least, it's the screen. Oh, the screen. I've played with the Droid Charge enough times to know WVGA Super AMOLED+ is not enough for me. Reviews talk up its vividness and lack of PenTile, but who cares when it's stuck at a 2009 resolution? HD Super AMOLED sold me on the Nexus. Hmm... what does this mean for the Galaxy Tabs and XOOM 1280x800 screens? If the native resolution of ICS is 1280x720, and ICS is eventually intended to replace Honeycomb, what will they do with the extra 80 lines? Or will ICS be tweaked for tablets (as the nav bar on the Nexus is clearly set up for a phone, not a landscape tablet). im sure there will still be allowed to be multiple resolutions. If they are backwards supporting phones, they would have to support older resolutions as well. It probably means nothing really.. if they drop it down, would we really notice? for more than 10 minutes at least? Even the i1, when it came out with its' seriously outdated OS and lackluster specs, was $350 on Boost Mobile. I guess that's why pre-paids usually go with older equipment... cause it's more affordable than a hi-end phone. Maybe this phone will come cross-compatible? Like it'll work for AT&T and Metro-PCS? That would be sick!!! Be able to have 2 different carriers on 1 phone simultaneously. Based on what we saw in Hong Kong, it will only be available in GSM/HSPA+ and CDMA/LTE, so if it comes to Sprint it will have to wait until their LTE network is up and running. Sorry, Sprint folks. I think the seven carriers thing will let you know if and when the Nexus is coming to each carrier... even if the answer is "not for a long time".